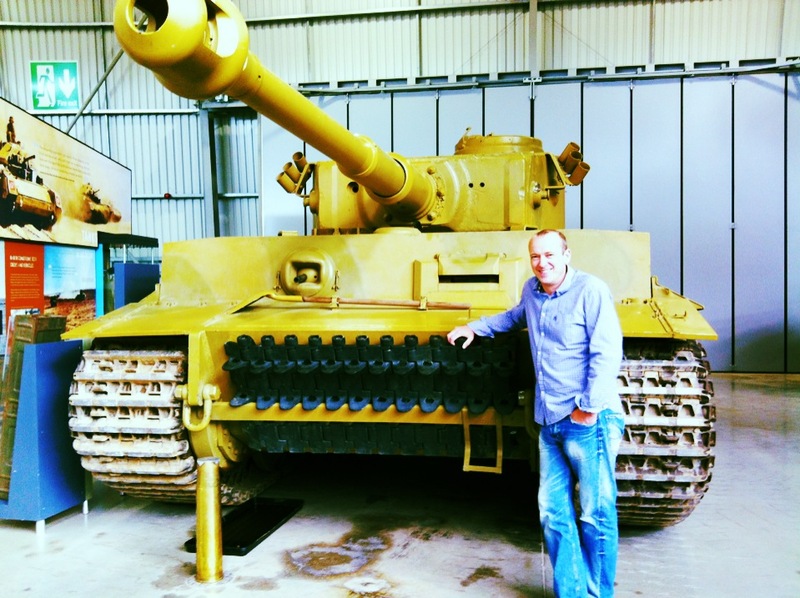 Last month, the Badger and I visited the Tank Museum at Bovington. It’s been a source of much hilarity between us for years based on the fact that one of us thinks it’s the best invention since the Steyr M1912. while the other would rather have her eyelashes plucked out by seagulls. Threats from Badger along the lines of ‘you behave, or we’re going to the Tank Museum’ haven’t helped. However, Tank World is a pretty cool place. It’s a giant hanger containing more metal than Kanye West’s jewellery box, but there’s a satisfying order to it which means that the dilettante tank fan can come away feeling informed and educated, with a strong smell of diesel clinging to one’s clothes. I greatly enjoyed the World War I trench experience, which is ghoulish and horrible and features a sobbing soldier with his hands over his ears. It’s a fine way to enter the museum, and has been beautifully imagined and lovingly curated. After this, you go through to the early tanks, which resemble something out of the Wacky Races meets Howl’s Moving Castle, and then you’re into the World War II arena. Here’s where it starts to get spooky – there are two tanks in the museum that hold claims to be haunted. The first is a Tiger tank, where the spirit of a German officer (who with a sad sense of inevitability has been nicknamed ‘Herman the German’) has been seen wandering the museum at night. He’s been witnessed peeping into the tank in which he is thought to have been killed during the North African Campaign. The second ghost gives me greater chills. This is the story of an infantry carrier called a Hanomag, a half-track that’s unremarkable to look at. However, during restoration work, old paintwork was revealed that identifies the vehicle as having been used as a field ambulance. There are reports of a sense of a presence, of photographs being distorted, of glimpses out of the corner of one’s eye.